Opinion Forum » Dr. Benjamin Carson – Two Inspiring Videos About our Next President? Many things are possible between now and 2016. Will Dr. Carson become our next President? I hope so. This post at Dancing Czars called to my attention an interview with Dr. Carson. It seemed that it might help to pull my spirits out of the pit where they had been trying to survive since last November so I watched. I also noticed this new video at PJTV and also found it on YouTube. Presented largely by Bill Whittle, it covers some of the same ground but is no less inspiring. Our presidential choices in the recent past have been, at best, mediocre and far from inspiring. On the wall of my study there is still a small sign, “Oh, Alright, Fine. Romney 2012.” Should Dr. Carson seek to become our next President, I shall quickly replace that small sign with one expressing far more optimism. Should he succeed, the likelihood is great that he will assist our nation in making changes that we can, want to — and should — believe in. Will he do everything I would like for him to do? Nobody would. Will he do lots of things that will turn out to have been wrong? I don’t think so but that’s possible, even though he has been quite successful thus far. Will he help to reunite our sadly divided nation? I think he has an excellent chance of doing so. It seems clear that Dr. Carson — unlike the incumbent and unlike former “under sniper fire in Bosnia,” “what difference does it make now” likely presidential candidate Clinton, who again aspires to be our the President — loves the United States and wants the best for her. Based on what I have heard thus far, we want essentially the same things for our nation. True, he has no experience in governing; phrased differently, he has no experience in doing the same wrong things repeatedly. Perhaps lack of that type of political experience is good rather than the reverse. In view of the other choices, what have we to lose? Will the Republican Party let him do what I sense he wants to do and is capable of doing? That remains to be seen. Is the Republican Party already so deeply immersed in its bad habits, and so far beyond doing what “we the people” want it to do, that there is no point in trying to push it to nominate Dr. Carson as its our candidate? Not yet, and even if it were we still have what Republican candidates want and need most of all — our votes. 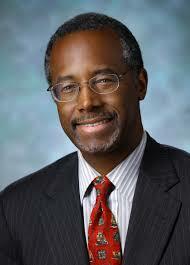 Those of us who would like to see Dr. Carson as our next President had best get busy. The 2014 campaign season is approaching inexorably and it may well be useful for him to get some political campaign experience. Could he help conservative candidates with whom he agrees on important national issues to get elected to the House and to the Senate? Would he be willing to do so? It will likely be necessary to ask him in order to find out.